Submitted by joanna on 13 December 2008 - 9:28pm. Thank you for giving me an idea about what to do with all of the tree decorations I never use since we have two cats and are away at Christmas. I took a large, old embroidery frame, covered it in tulle and then hot-glued decorations to it. I like the word "upcycle," too--where did it come from? Submitted by dr. b. on 14 December 2008 - 9:17pm. That is too dang cute! I wish I had enough ornaments to make sure a thing. Submitted by Clancy on 21 December 2008 - 9:49am. Joanna -- I think I first read "upcycling" on treehugger.com. 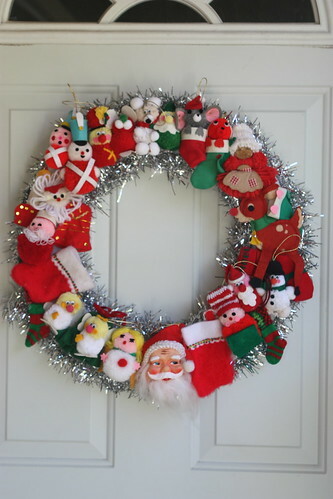 I want to see a picture of your wreath!